Have you ever been at a point in life that with clarity you can see it is a crossroads? Well, that is pretty much where I stand today. However, my crossroads is more an interchange than a crossroads and the choice of right or left are but two of at least a dozen options that includes a serene two lane highway, a bustling traffic congested freeway, a graded dirt track, and at least one road that even with the Jeep leaves me just a bit apprehensive. The only option that does not seem to be available is to continue much further on the road currently being traveled because it looks as though we are nearing Santa Monica Pier. Okay, this is a bit cryptic. In all honesty, perhaps this analogy, this sense that a change in direction is imminent, is resultant of the convergence of a multitude of life changing events in a mere six week period. On the writing slash photography front success is so close I can touch it with my finger tips. However, it is like Jello. I can feel it. I just can’t get a grip on it and when pressure is applied, it slips away. I should explain my view on success. In my world, a successful writer is one who derives his entire income from the written word and still is able to eat every other day. 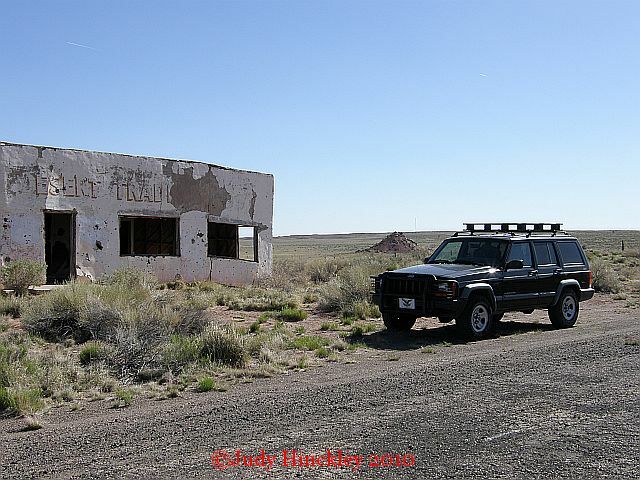 Ghost Towns of the Southwest, Route 66 Backroads, and Backroads of Arizona are all selling well. In fact Ghost Towns of the Southwest http://rcm.amazon.com/e/cm?t=1968adventurer&o=1&p=8&l=bpl&asins=0760332215&fc1=000000&IS2=1&lt1=_blank&m=amazon&lc1=0000FF&bc1=000000&bg1=FFFFFF&f=ifris selling extremely well and continues to receive excellent reviews such as the one that appears in the latest issue of True West magazine. My book profiling the Checker Cab Manufacturing is now in a long awaited second printing. Discussions are underway to revive The Big Book of Car Culture as a second printing. All of this is just in time for a scheduled interview with Jay Leno for the book club section of his website. With cessation of publication of Cars & Parts, the monthly income took a hit. It also meant an end to one of my more enjoyable endeavors as a writer, the penning of the monthly column The Independent Thinker profiling men like Ralph Teetor and Milton Reeves. With the Route 66 encyclopedia and atlas I have the largest, potentially most profitable, and without a doubt, the most enjoyable project to date. I also have a great day job that supports the writing habit but it looks as though we are back to a six day schedule for an indefinite amount of time. It also looks as though there may be a postponement in the vacation, again. On the photography end we are tantalizingly close to a semblance of success. Our prints are being sold through the Lile Gallery in Amarillo and one went home to an international collector. Additionally, a number of our photos were selected for inclusion in Ghost Towns of Route 66 scheduled for release next June, a major corporation has commissioned us to supply photographs for their forthcoming website, and others were used to promote a program on the KNAU website. Today is a birthday milestone. My grandson is two weeks old. Another milestone looms on the horizon as it seems my mom’s string is about played out. In a more perfect world where roses don’t have thorns and fish don’t smell funny my dearest friend and I would settle out on a small ranch in southern New Mexico along the Mimbres River or find us a little place along Route 66 such as the Painted Desert Trading Post (but with doors and windows). Then we would welcome folks who come to visit or that need a place to camp, let the grandson run wild, pay the bills through writing and photography, and have a garden where fresh melons are found less than five steps from the back door. I am quite sure that which ever route we choose it will be a grand adventure. After all, adventure is the essence of life and one of the keys to enjoying the journey is to pick a road, don’t look back with regret on the path chosen, trust in the good Lord, and always look for a quiet place in the shade for lunch.